For an investor to successfully trade binary options, they need to have a sound money management strategy in place. By nature, binary options tend to promote poor money management, especially because of the high returns its brokers market. This, in turn, lure new traders into trading without having a proper plan. If you don’t follow a sound money management strategy, as part of your overall strategy, chances are high that you will lose. The win-loss ratio of binary options trades can easily see your account emptied if the risk is not controlled. 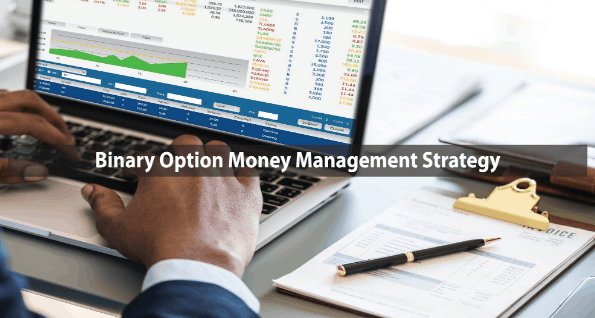 Hence, it is crucial that you stick to a money management strategy of binary option strategy for iq option. Money management is a crucial element of trading as it lets you manage your investing capital. It provides a level of risk management, allowing you to protect you from yourself by helping you eliminate fear and greed. It ensures you do not wipe out your capital and that you always have enough money to trade, again and again. Any trader understands that risking their entire sum in a single trade is a bad move. In the same way, they also understand why portfolio management includes diversification and allocation of elements. What is the Martingale money management strategy? Initially known as Doubling Down, The Martingale trading strategy is one of the oldest and well-known systems used when trading binary options. This strategy owes its origins to Paul Pierre Levy, an 18th-century French mathematician. The Martingale strategy is a progressive management strategy that is based on even odds. With this strategy, traders are expected to double up the wager after each loss. The size of the stake is doubled after each consecutive loss. This strategy works on the basis that you cannot lose all the time and that eventually, you will get a winning position. Hence, you should increase the amount allocated in investment so that when you do win, you will be able to recover all previous losses and still earn some interest. As an example, think of the heads and a tail coin game which players are required to set an initial rate like 1 dollar. Regardless of which side the coin drops, the chances are 50:50. 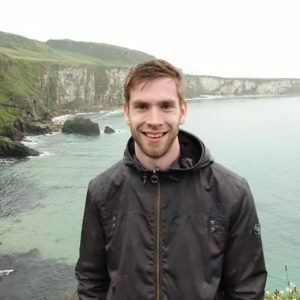 Although this system works, if your strategy guarantees only a limited number of string losses, the biggest and most obvious hurdle is that your capital limit can exceed before the required progressions are achieved. The need to double your stake after each successive loss can quickly drown or blowout an account completely. How does the Martingale strategy work with binary options? When using the Martingale strategy, trade 60-second options with the lowest possible trade size. If you win, great for you. If you lose, you increase the amount of your bet in a way that it covers the previous loss of your last losing trade. Hence, the value should be about two or more times the amount of the previous trade. For instance, if you traded $1 and lost, the next trade should be $2.If you win the second trade, your pocket $4. The $4 will return your $2 stake and will return the $1 loss on the first bet and on top of that, you will have made an extra dollar. If on the other hand, you lose the second trade, you will need to double up your previous bet of $ 2, so that you trade $4.Hence, if you are able to double your bet every time you lose, eventually, you will be able to win the entire amount of money you have traded with. Note that an eventual losing streak puts more and more of your money at risk for little reward. If you keep on doubling your wager each time you lose, you are still bound to win back all the amount you lost as well as improve your overall net winnings. This system is great for short term binary options trading, especially if you plan on betting for a few seconds or a minute and not long periods of time. If you are still learning the ropes of binary options trading, the martingale trading system can help you recover your losses. If you are an ardent binary options investor, this strategy will help you progressively increase your trade while allowing you to recoup losses and generate more profit. If you are on a bad losing streak, you can end up losing a lot of your capital as you chance a win. Depletes your capital faster. In fact, we would say that the Martingale system is highly recommended for investors with a rather, big bankroll, in case you are on a losing streak and need to boost your wager. Your odds are unlikely to improve in the long run. The longer you play, the more likely you are to lose. Hence, we highly recommend playing a few rounds at a time and quit playing. When trading binary options, the Martingale system gives traders a chance to neutralize losses and increase profits. If you have a good signal indicator or market analysis, this strategy provides a great way to recover losses. The principle still remains: To get income from the trade through a single profitable transaction. That said, a huge amount of risk is associated with strategy as your capital is completely exposed. As a trader, you need to ensure a considerable amount of your initial deposit. Also, always think thoroughly before getting into any trades and remember to do some trial and error before applying this trading strategy.